"At last - the mobile visual field screener clinicians have been waiting for"
The Digital Visual Fields Screener has come about at the request of numerous Optometrists and Ophthalmologists looking for a mobile visual field test. While there are a number of excellent visual field instruments available for the consulting room or clinic, these instruments are not easily portable. This has meant that those working in mobile clinics or carrying out domiciliary tests have had to rely on the confrontation test or rather crude card-based systems. 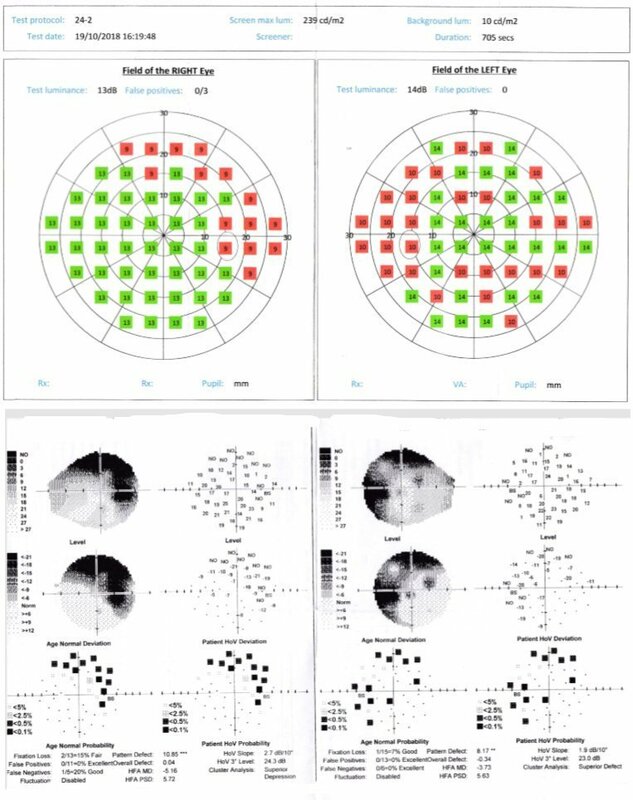 There have been a number of challenges to overcome to make the Digital Visual Fields Screener a reality (in particular screen luminance calibration). However, the advent of new technology (and some ingenuity) has allowed us to overcome these challenges and we believe that we have developed a comprehensive and robust visual field screener. It is not designed to replace the purpose-built visual field instruments, but it does provide the mobile optometrist or ophthalmologist with a solution which is an order of magnitude better than the alternative. It may also provide a practice-based screening tool to run alongside the full visual field instruments. Comparison of field obtained for the same patient with the Digital Field Screener (Screening mode) and Medmont visial field analyser. 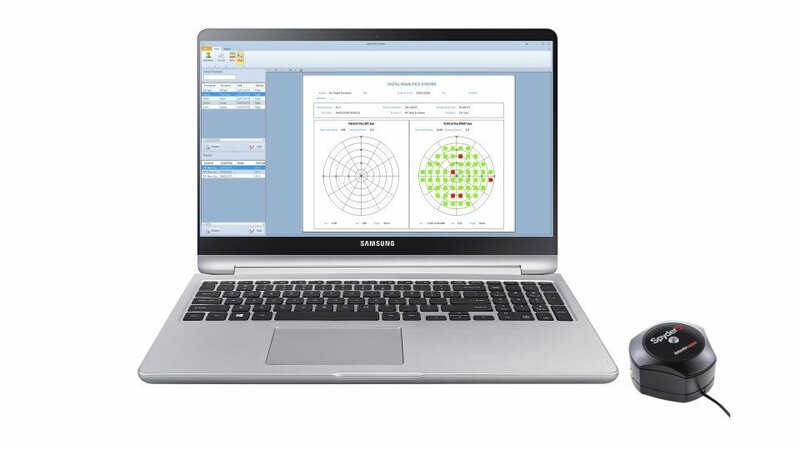 Powerful software for Visual Fields Screening on a laptop or PC. Price includes Spyder Colorimeter for calibrating screen luminance.